For an SME, cash flow is vital for your business. Cash flow is as important to a business as is oxygen to the human body. Cash is important for working capital because it generates operating income and profits. Without liquidity, there is no cash flow. In today’s business environment, it is extremely challenging for a small business to survive and thrive. In the past, it was all about the big fish feasting on the small fish. In the rapidly borderless and globally connected ecosystem we are in today, size does not matter as much as speed. The analogy to business success shifted to the faster fish preying on the slower fish. With the current lacklustre market and the fallout from the oil crisis, the big fish are also preying on big fish as can be seen by the mergers and consolidation taking place. Where does this leave the small fishes? Small businesses are swimming against the current as the marketplace becomes more competitive and every business is trying to survive the slowdown. In such an environment, it is imperative for the SME owner to keep a keen eye on your cash flow. Cash is the company’s life line. You need cash to generate profits and the company’s development. If a company does not have sufficient cash, it will not function properly. If cash flow does not improve over time, it will eventually endanger the company’s survival. 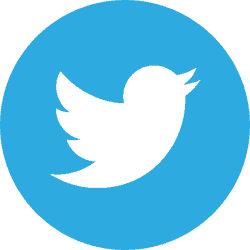 Some newcomers to the market will bid aggressively for new contacts to stake a claim in their respective market. However, competing on cost alone is a disastrous strategy. When customers start delaying payments and yet the company has to fulfil monthly overheads and staff costs, it will eventually lead to a negative cash flow position. After a few such low price aggressive contracts, the company would have haemorrhage too much cash to survive. Companies like these did not lose to the competition, the market or by government regulations. They simply lost because they did not have enough cash to circulate. Cash is the lifeblood of a business. If cash is circulating within the company, the business will be able to invest in development, improve its products and services and hire better talent. For local SMEs, they can tap onto a SME loan in Singapore if immediate cash infusion is necessary either to tap onto unforeseen opportunities or to tide over a temporary cash flow crunch. Most SME owners when assessing their company’s financial performance only look at their Profit & Loss statement and Balance Sheet. One important statement frequently overlooked that forms the company’s financial report is the Cash Flow Statement. Did my net cash flow from operations increased or decreased compared to previous financial year? Where did I spend my cash on? On operations, investment or financing? By answering the above 2 questions, you’ll be able to gauge the quality of your cash flow. 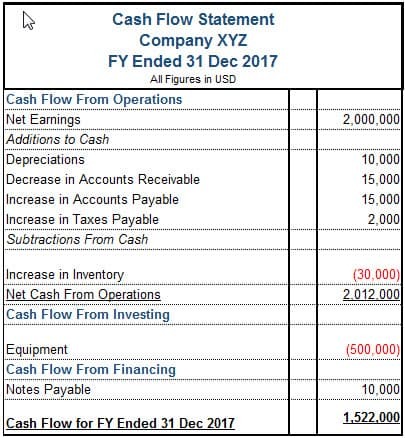 The net cash flow from operating reflects the net cash flow attributed to normal business operations, which is the net value of the operating cash inflow minus operating cash outflow. Net profit, from the perspective of the Profit and Loss Statement answers the question of whether the company is profitable for the relevant financial year. In simplicity, it’s the total income of the business minus the total costs and expenditure. Among them, income includes operating and investment income. Total costs include the cost of goods sold and non-tangible costs (such as depreciation and amortization). A very important indicator of the quality of profitability is the comparison of operating net cash flows and net profits. Under a very simplistic scenario, if a company’s income is pure cash income and all costs are also paid in cash, in which case the net profit will be equal to the operating cash net cash flow. The longer the receivables turnover day, the more your customers are using you as an interest free business loan. Credit terms extended to customers should rightly be recognized as a cost to the company as there are opportunity cost if cash is received right after sales. Amortization and depreciation of assets are non-cash expenditure of a business. Many companies use EBITDA (earnings before interest, tax, depreciation & amortisation) as a more accurate measure of business profitability because costs like amortization does not have real cash flow expenses. Working capital includes prepayment and advance payment. Firstly, whether a company has a revenue pre-payment business model is largely dependent on its industry. For example, the education industry usually collects its revenue of tuition fees in advance before delivering the service (conducting classes). The education industry would therefore enjoy positive cash flow since its able to collect the full semester’s tuition fess before it has to discharge the costs of business (monthly rental and teachers’ salaries). If a company’s operating cash net cash flow is sufficient to meet the capital expenditure (CAPEX), it indicates that the company can generate its own cash flow to maintain its development and growth. 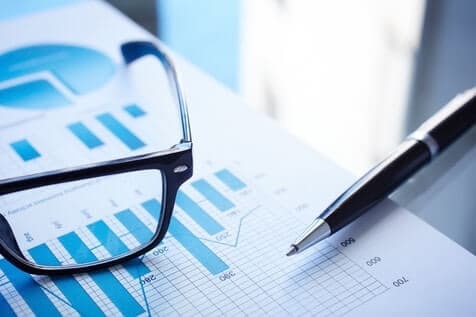 If the net profit growth of a business substantially exceeds the growth of operating net cash flow, it is necessary to understand the how capital is utilized in the business and the financing channels of the enterprise. If there is no consistent financing (bond or shareholder capital investment) support or no access to small business loan capital, the company might right out of funds eventually despite being profitable. Working capital can doom a fledgling and promising startup to early closure. According to a US bank study, 82% of small businesses fail in the first 5 years due to poor cash flow management. Always keep an eye on your cash flow. As it implies, keep the cash flowing in your business. Encourage your debtors to repay earlier by offering slight discounts (if your margins are not razor thin). Move your inventory aggressively and don’t let them stack up in your storage. Whenever possible, try to position your business model to one that is cash flow friendly. Example would be F&B or retail businesses where cash is collected daily and expenses are paid monthly or longer. This might not be possible for most B2B businesses especially selling to large enterprise accounts. However, there is no limits to an entrepreneur’s creativity and resourcefulness to iterate and improve your business model. Profits can’t pay the bills, it’s just an accounting term. Your business sustains on cash flow.